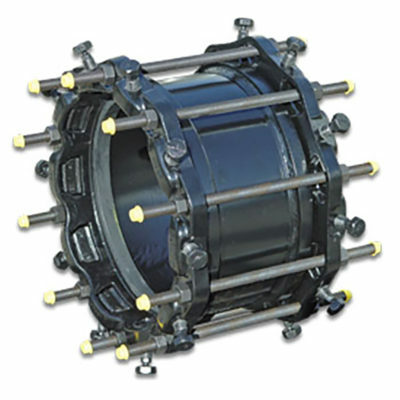 Restrained Ductile Iron Couplings simplify piping installations requiring tie rods or other types of thrust restraint. 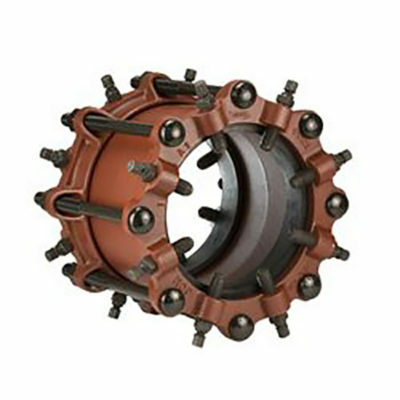 The Ductile Iron Coupling eliminates the need for exact pipe fit, alignment and end preparation. Restrained Steel Couplings are used to couple and restrain plain end pipe. Also available with a flanged end. They are recommended for use on ductile iron pipe.